It’s that time of the week once again when Apple gives away a paid iOS app to iPhone and iPad users totally free-of-cost. 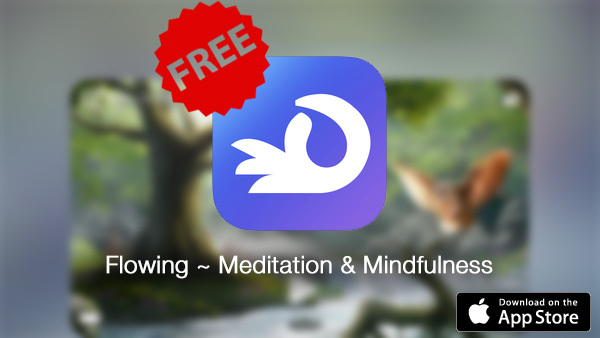 Usually costing $2.99 on the App Store, today’s title dubbed “Flowing ~ Meditation & Mindfulness” offers what many of you may struggle to find in your busy lives; peace and relaxation. Such is the lifestyle these days that while you may catch a break from your work or personal commitments, seldom will you find that perfect spot to unwind where the noise of the world around you can be kept out of your head. Flowing ~ Meditation & Mindfulness is the perfect app to help isolate yourself from the world around you and truly relax, and if you must, even meditate. This is the first time the title has shed its price tag, so it’s definitely worth a look. Those of you who have tried out apps of this nature before would be well aware that you don’t know what silence and relaxation means till you cut off your audio sensory from the world around you and tune into white noise ambiance. 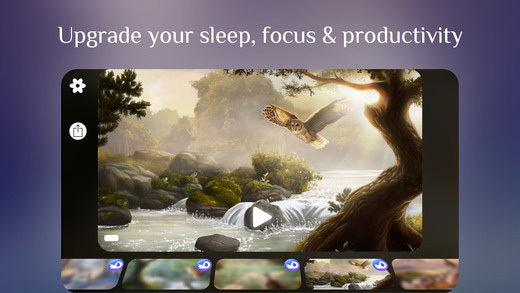 In the instance of Flowing ~ Meditation & Mindfulness app, you have much more than just white noise, with 3D audio and that too at very high quality to give you an immersive feeling. It seems to be one of those USA only apps. The link doesn’t open the App Store for me here in Canada.